The materials needed for big (and small) building projects - metal roofing, lumber, building supplies - require a special fleet of trucks and trailers to deliver them to your job site. 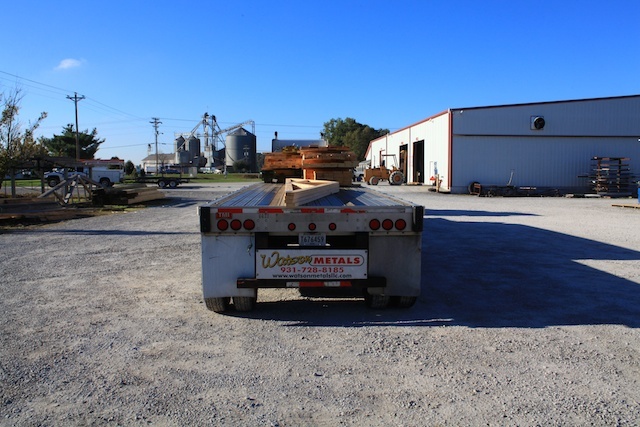 We believe the delivery is an important part of the service we provide our customers, and we like to go the extra mile to make sure your materials get to your job site fast and safely. Delievery large materials like roofing panels can present a few challenges. 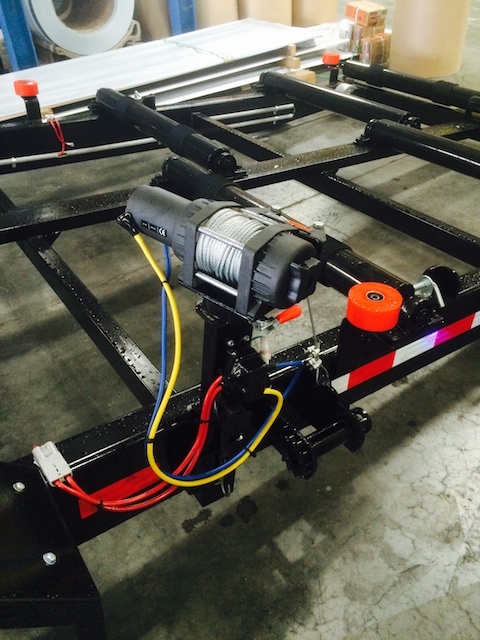 We overcome many of those challenges by building custom trailers for our deliveries. We add things like rollers and wenches to ensure that none of your deliverables get so much as a scratch on them. 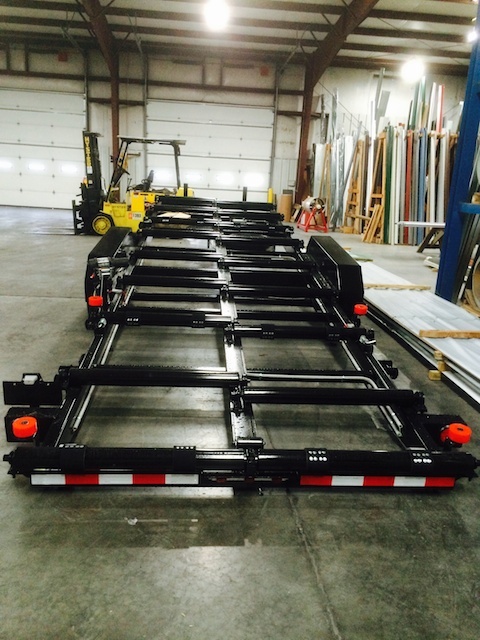 Our trailers make delivering large materials fast, safe and efficient - saving you time and money. 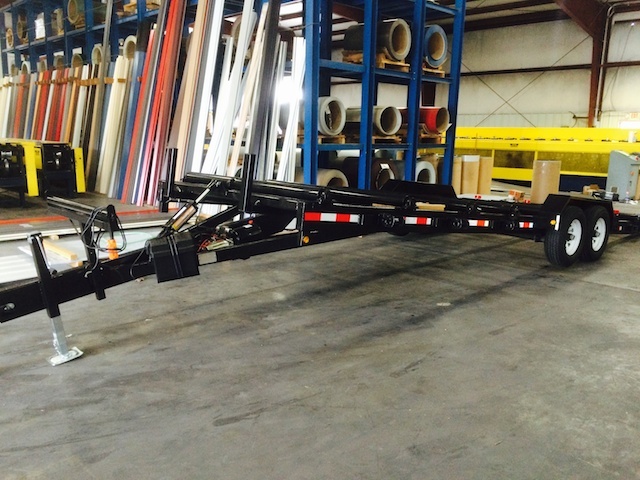 We have a great selection of vehicles to fit whatever size load we may need to deliver. 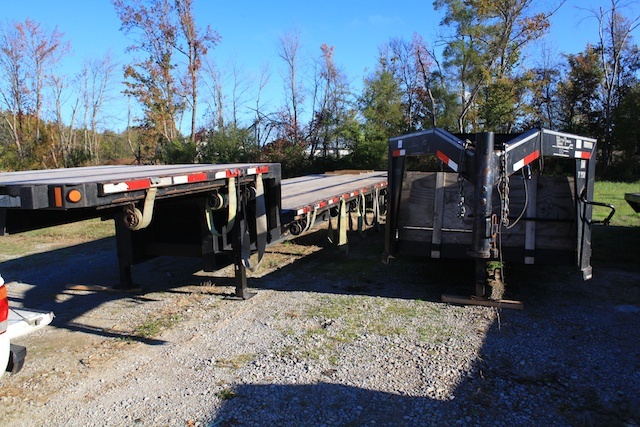 We make use of four 1-ton trucks, five custom-built trailers, a semi with a full size flat bed, and drivers with many years of experience to get the job done right. 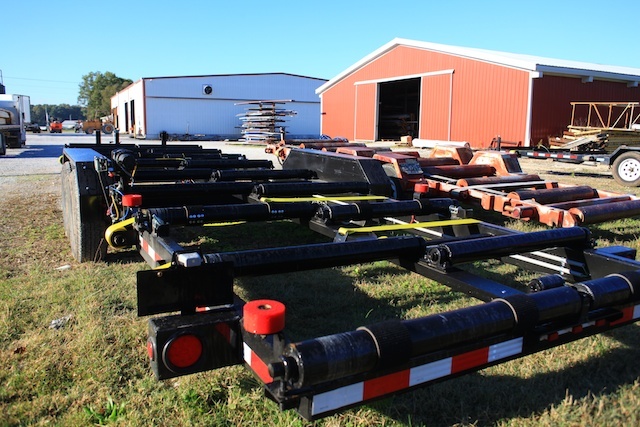 Of course, trucks alone won't get the job done - we have to keep a solid fleet of trailers as well to complete the job. We have a great selection of vehicles to fit whatever size load we may need to deliver. 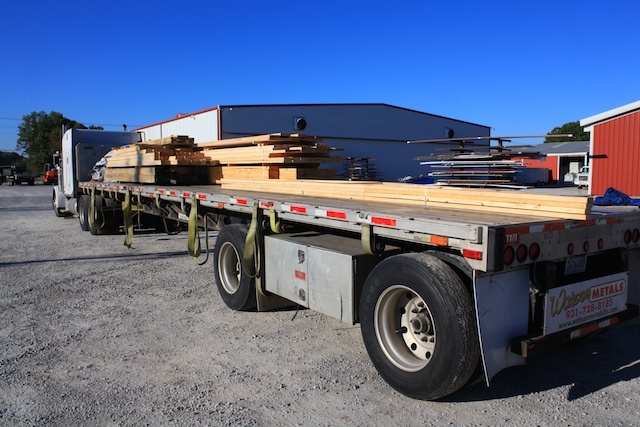 We make use of four 1-ton trucks, five custom-built trailers, a semi with a full size flat bed, and drivers with many years of experience to get the job done right. Our facilities are large and spacious which makes life a lot easier for our staff. 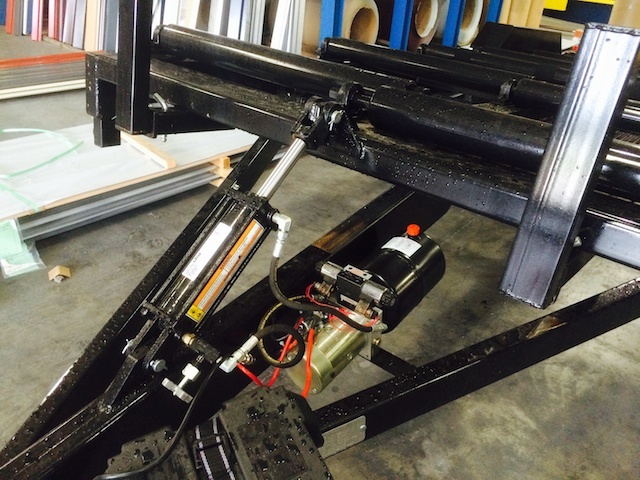 It also makes us able to get your orders out fast, accurate and free of damage. 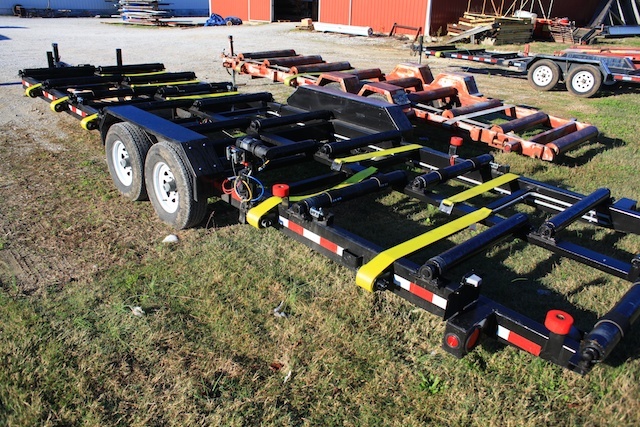 There are some pretty large deliveries running out of our shop on a regular basis, there are lift trucks, flat beds, one-tons, etc, etc, all the time. We keep our yard large and tidy to ensure the smoothest of days around the shop, every day. We have all the tools and vehicles we need to tackle any project or demands the business may have.